Turkey’s plans to buy the Russian S-400 missile defense system would give a weapon used by “known foes” of NATO deep insight into the radar-evading F-35 fighter jets arriving in growing numbers in Europe, the top U.S. Air Force general in Europe said. General Tod Wolters, also the NATO Allied Air Commander, told Reuters the issue was worrying, but he was working to maintain strong military ties with the NATO member for now. “Anything that an S-400 can do that affords it the ability to better understand a capability like the F-35 is certainly not to the advantage of the coalition,” said Wolters, who was in Britain for an air chiefs conference in London and the Royal International Air Tattoo at RAF Fairford. 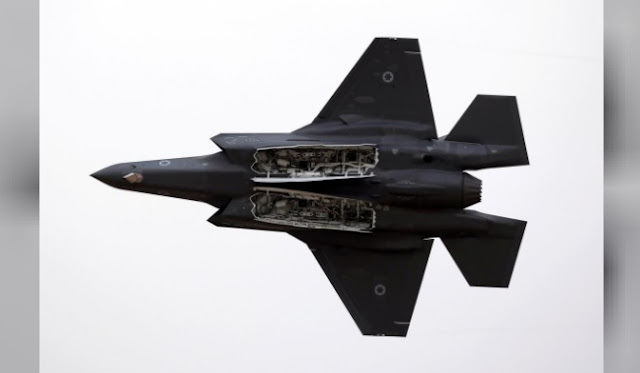 U.S. and NATO officials want to prevent the Russian-built defense system from accumulating information about Lockheed Martin F-35 fighter jets just as they are gaining a foothold in Europe. Norway, Britain and Italy will have a total of 40 F-35s in Europe by the end of the year, with 24 more to be delivered next year and the Netherlands to receive two jets as well, according to a spokesman for the U.S. Air Force. Turkey’s plans to buy the Russian air and missile defense system have raised tensions with Washington, and U.S. lawmakers are seeking to block the transfer of any F-35 jets to Turkey. A senior U.S. official last month said Turkey was a key NATO ally, but its purchases of the F-35 would be at risk and Ankara would face sanctions if it proceeded to buy the S-400. Ankara received its first F-35 jet at the Lockheed plant in Texas last month, although the aircraft will stay in the United States for training. “The Turks have to make a choice. They’re either going to be part of NATO or they’re going to move into the Russian camp in terms of defense,” said David Deptula, a retired Air Force general and industry consultant. He said NATO would never integrate an S-400 system into its integrated air defense system because it would give the Russian-built system data about operating tactics and procedures that could be transferred to other users. Operating an F-35 nearby would also allow the S-400 system to glean key information about range of detection and other characteristics of the aircraft, potentially undermining any element of surprise. But he said his contacts with the Turkish air force remained “rock solid” despite the dispute over the S-400, focusing on current security threats.